Mamadi Diakite’s buzzer-beater threw Saturday’s NCAA Tournament game against Purdue into overtime. And five well-executed minutes later, with an 80-75 final score, UVA men’s basketball shot into its first Final Four since 1984. 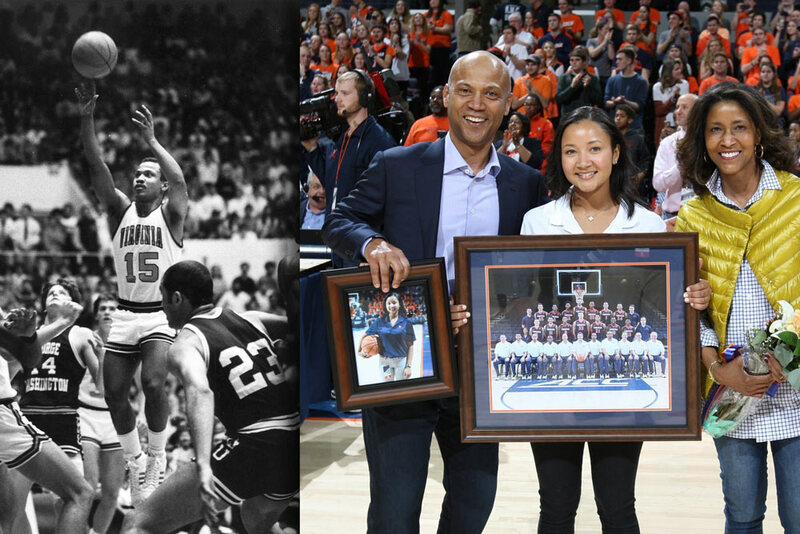 That game has been deemed an instant classic, but there’s nothing instant about UVA’s long tradition of basketball excellence. 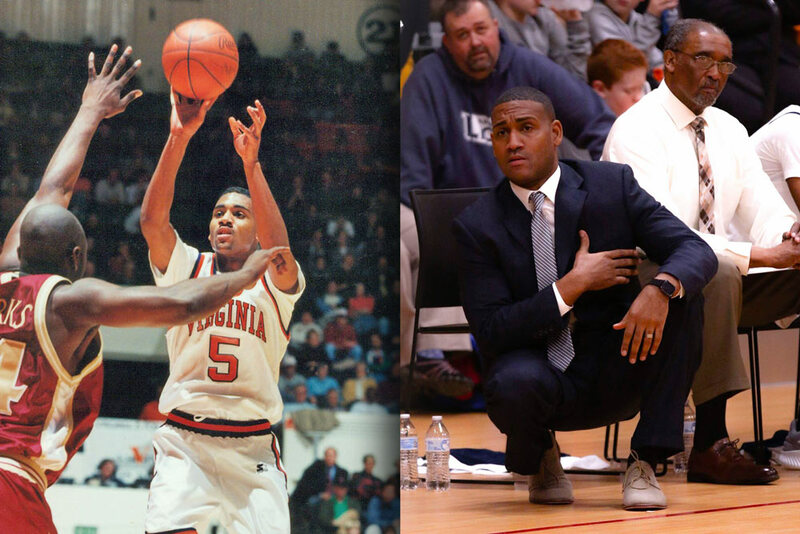 As we look ahead to the tournament’s next round, Virginia Magazine takes a look back at just a few of UVA’s basketball greats, both men and women, and tries to answer: So, where are they now? 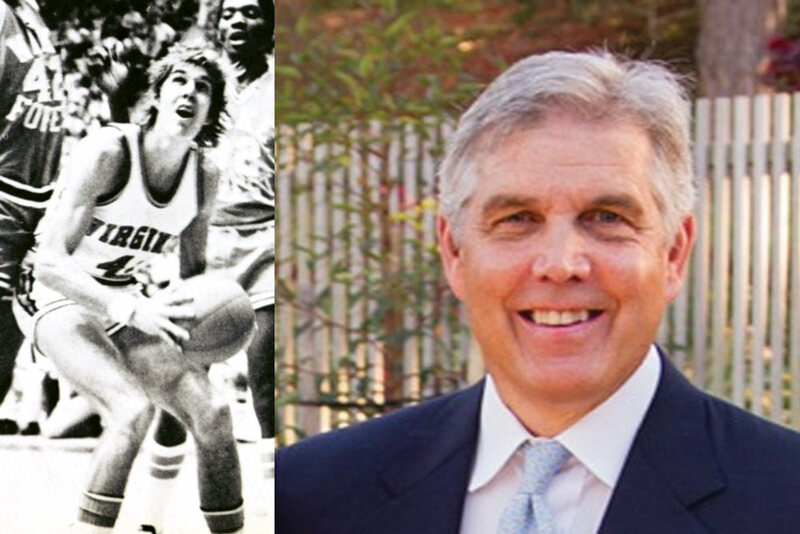 Now in Seattle, Wally Walker remains invested in UVA after stints as an NBA player and the Seattle SuperSonics president and general manager. 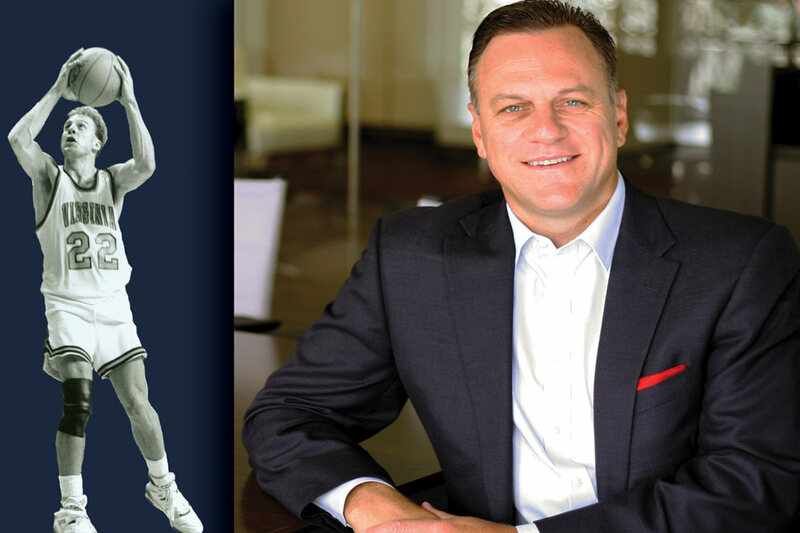 Walker sits on The Miller Center’s governing council, holds UVA basketball season tickets and played a role in getting Coach Tony Bennett hired. A couple of weeks before Bennett took the job, Walker watched him coach Washington State and remembers thinking it was one of the best-coached teams he’d seen. “They didn’t have much talent, yet they were so competitive and executed so well,” Walker says. Back in Seattle, Walker runs an investment fund and is working to attract an NBA team to the city. But he’s no longer shooting hoops. “My joints tell me, ‘Don’t do that,’” he says. 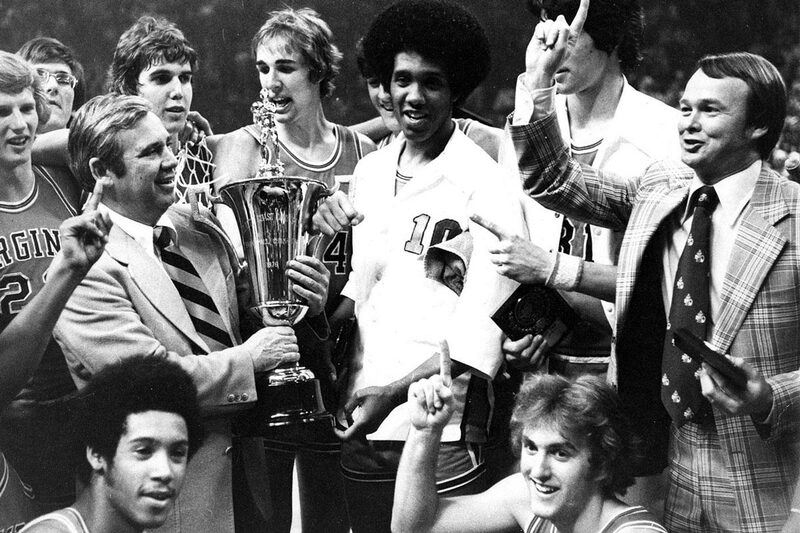 Memorable moment: The 1976 ACC Tournament semi-final game. In the final minutes, Stokes made five free throws, helping UVA beat Maryland, 73-65. The next day, the team won its first ACC Championship. “It wasn’t until afterward that the magnitude set in of just what had happened,” Stokes says. Memorable moment: Beating No. 11 Maryland, 71-57, in January 1981, in front of a rowdy crowd at U-Hall. 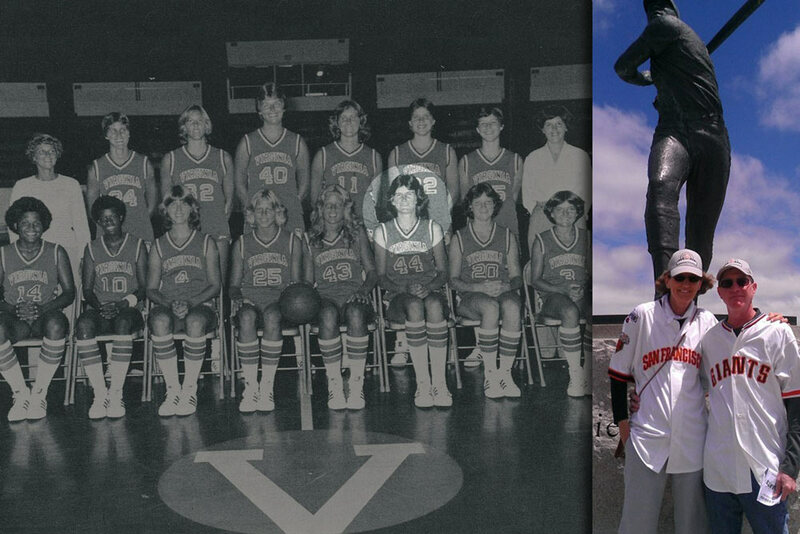 Gunn credits UVA’s earliest women’s team players for paving the way. “Those players had such an impact when [we] 18-year-olds rolled in, in 1977,” she says. Gunn spent 24 years crisscrossing the country during her husband’s Air Force career. Along the way, she held university or government jobs. 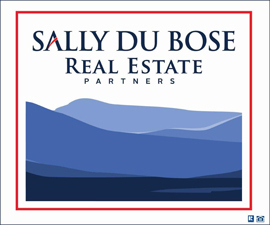 Ten years ago, her husband retired, and they built a home in rural Idaho. Now, she volunteers, travels and works part time at the Idaho statehouse as a quality control analyst. “It’s fun having a home these last 10 years after being a gypsy in the Air Force,” she says. Memorable moment: Winning the NCAA Tournament’s East Regional Championship in 1984. “That feeling of winning and watching my teammates jump up and down and tackling each other as our fans embraced—that moment of joy is something I will never forget,” Miller says. Memorable moment: Fans will remember the Cavs’ 1989 run in the NCAA tournament, beating top-seeded Oklahoma to reach the Elite Eight before falling to Michigan, the eventual champion. Crotty’s 208 assists set a UVA single-season record that year. But if you ask Crotty for his favorite moment, he can’t pick one. “It’s more the group of moments and just being with the different players,” he says. 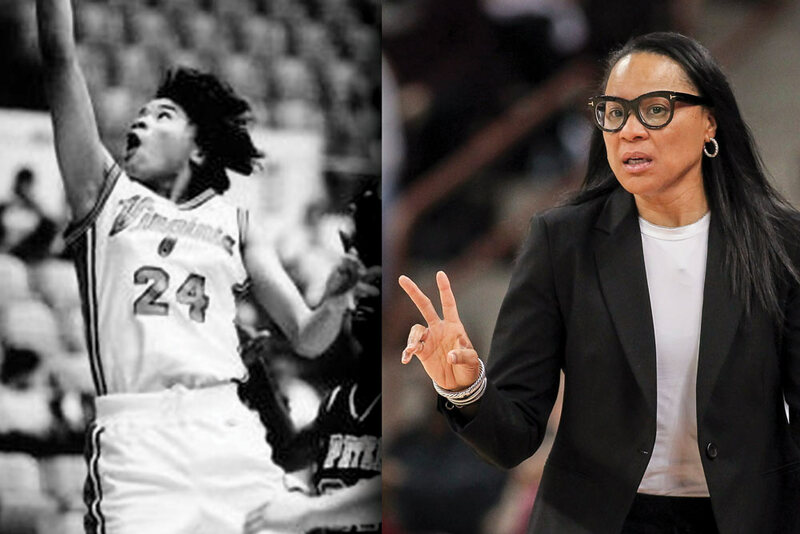 Memorable moment: It’s hard to pick a single moment during Dawn Staley’s history-making turn at UVA, but fans won’t forget the 1991 championship game where Staley scored a record-breaking 28 points. Though the ’Hoos lost in overtime, Staley was named the Final Four Most Outstanding Player, the first time a player from the losing team took home the honor. But for Staley, it wasn’t just about the game. “My whole experience at UVA gave me the foundation to navigate through life,” she says. Staley, a former WNBA player and three-time Olympic gold medal winner, is now head coach for both the University of South Carolina women’s basketball team and the USA Basketball Women’s National Team. 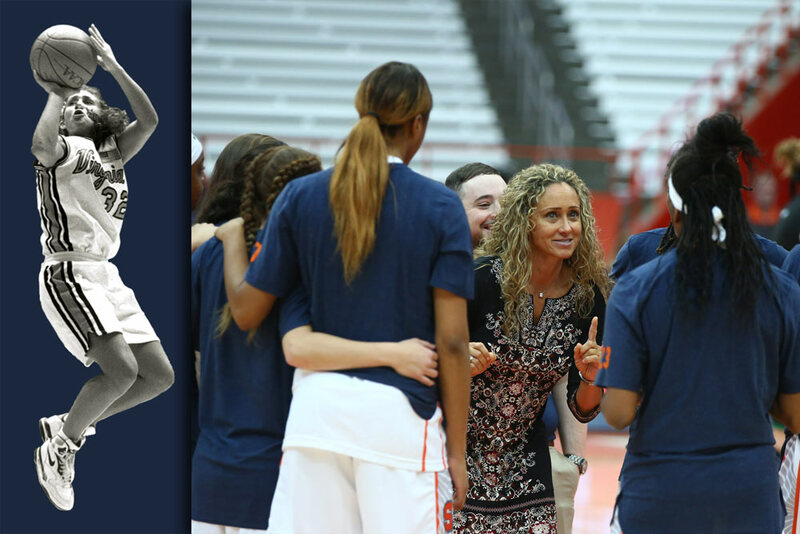 Staley calls herself a “dream merchant” for her youngest players. Memorable moment: Beating North Carolina State 67-64 in overtime and giving Coach Debbie Ryan her first ACC championship in 1990. “We never lost focus,” Reiss says. 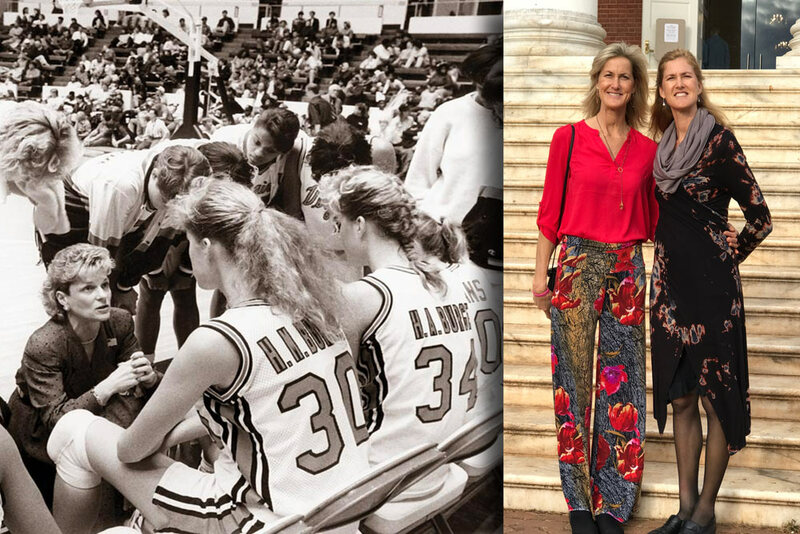 Memorable moment: Beating fourth-ranked Tennessee in 1990 to advance to UVA women’s first Final Four. “We were such a young team, and it was such an exciting upset,” Quella says. Memorable moment: The 1995 match against Duke at Cameron Indoor Stadium. Down 25 points at halftime, the Cavaliers won the game in double overtime, 91-88. “It was just great to overcome such huge odds,” Staples says. No Lanny Stahurski? He was a crowd favorite! I was in the Pep Band and we raised hell every time he got into a game. Bryant Stith? Virginia’s all-time leading scorer for men’s basketball. Went to high school with Bobby Stokes, he is a great guy. I still don’t think he got to show all his talent as a player! A blast from the past! 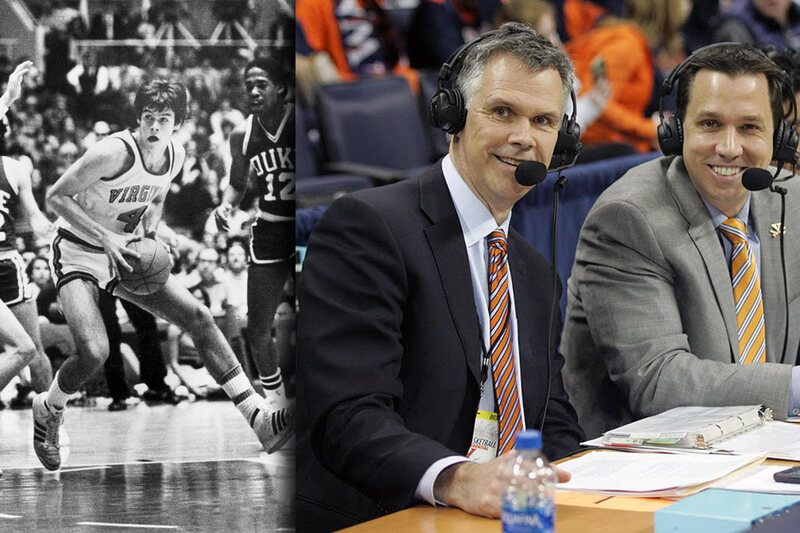 I’m pretty sure that I took the B&W photos of Ricky Stokes and Jimmy Miller when I was a student and employed by the UVA Sports Information Office. It was fun getting a press pass and sitting down on the floor under the baskets at UHall during those games. 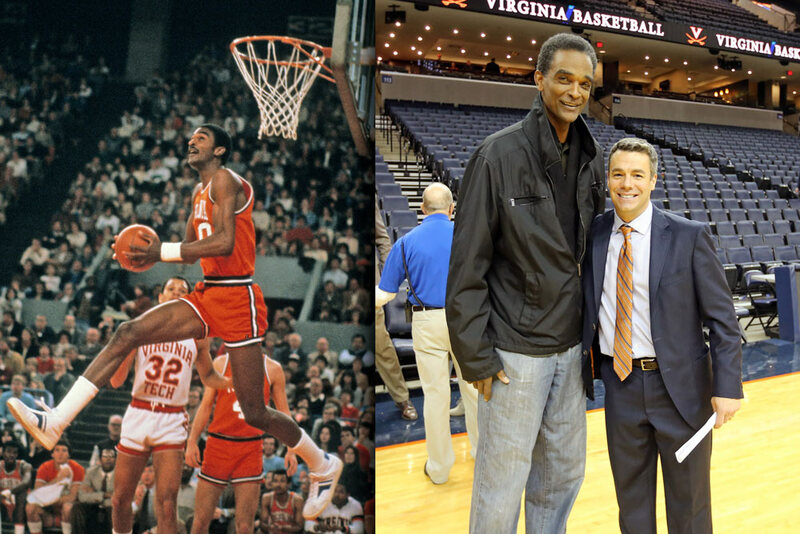 Anyone remember Herb Busch, UVA’s center who was considered a giant at 6’-8” back in the late ‘50s? He probably deserves some mention in a future article. Clearly a follow-up article is needed. Cannot forget Barry Parkhill and Jim Hobgood as well as my classmates: Jeff Lamp, Lee Raker, Terry Gates, and Jeff Jones! And how about Jr Burrough, Yuri Barnes, Cory Alexander and Jason Williford??? Those groups deserve some love! What about the diminutive point guard Bill Miller that fed the ball to Buzzy so that he could score all those points? And, was the first ACC Player to score a triple double in 1955. Barry Parkhill (1974) never missed a buzzer beater! UVA got to #6 during his years, which was a great accomplishment for a team going against so many great ACC teams. I’m looking forward to a follow-up article. Excuse me. Have we forgotten that Barry Parkhill was the start of it all? a very big center, known primarily for his football prowess. thanks for the memory lane visit with Ralph Sampson and the Burge twins! Wonderful memories. Once a Hoo always a Hoo. Really nice work on the article. The “omissions” will be excellent fodder for the sequel, I’m sure. was the king of the grounds.. I knew the many of the players from 74-78 and was part of a weight room group who was asked by Coach Holland to help Wally Walker, Marc Iavarone and Steve Castellan with weight training. 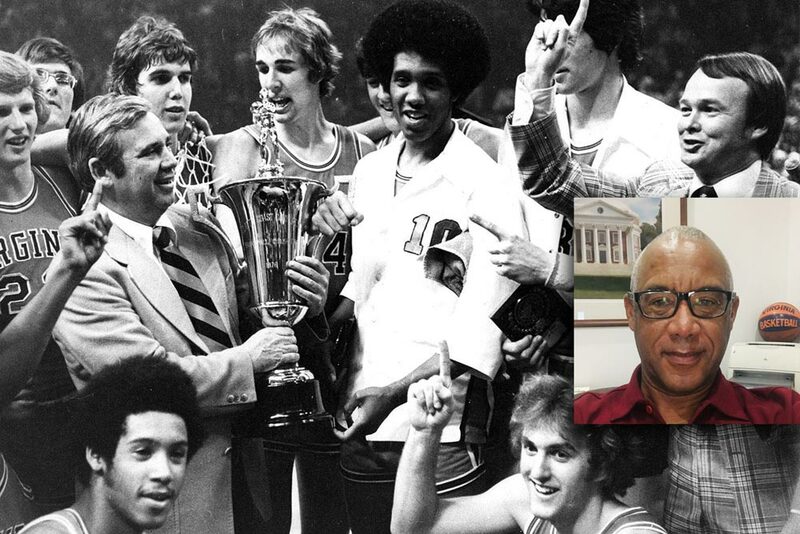 They were quality individuals who upheld The University’s standards as student athletes and gentlemen. The article brought back great memories. Everyone is right about there being too many to cover in one article, I think that Barry Parkhill and Jeff Lamp were major oversights. Loved watching Curtis Staples play, guy was absolutely electric. Not to mention an outstanding person giving back to the community. 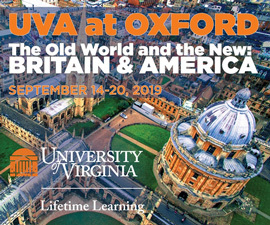 He’s one of the reasons I chose to attend UVA. Very disappointing that Jeff Lamp was not mentioned in this article. Ralph got more attention, but Lamp was the heart and soul of that team. No way they make it to the final four without him. And he was Mr. Clutch over his entire college career, winning or tying something like 15 games at the buzzer. What about some guy named Geno who has something to do with UConn? All of the ones mentioned plus Barry Parkhill, Gus Gerard, Marc Iavaroni, Jeff Jones, Bryant Stith, Junior Burrough, Roger Mason, J.R. Reynolds, etc., etc. Buzzy Wilkinson, probably the first of a great long stream of greats! And Barry Parkhill, Dan Bonner, Marc Ivaronni. Many greats not included that could have been. Wow. i am surprised by who was left out of this article: Steve Castellan, Jeff Lamp, and Lee Raker. Wish we had a 3-point line back then!